Smartwatches are the best wearables nowadays. They come with an excellent notification system, fitness tracking, smart dial faces, GPS, heart rate monitors, and most importantly everything packed in a tiny wearable size gadget. Smartwatch with sim card is really a productive thing. Many people are recently asking about what if they could handle calling as well. 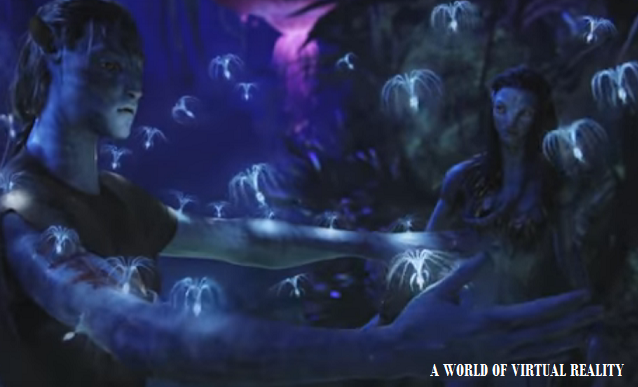 With this, they will have one more option to stay connected to the world from wherever they are and do not need to carry smartphone every time they go out. We have collected some of the best-selling smartwatches which are calling feature available and some of them have sim support too. We are constantly updating this list so that you won't miss from the latest watch trends. One of the best calling features enabled smartwatch is from LG. LG's new Watch Urbane LTE can make calls even if you keep your smartphone away. While Google had already made it possible through their Android Wear operating system, Urbane 2nd Edition works well with calling features from anywhere. Earlier smartwatches were only supported with wi-fi and Bluetooth with smartphones for connectivity features. Urbane LTE 2nd Edition has 480x480p round display and powered by Qualcomm Snapdragon 400 chipset and has internal memory of 4GB and has enough 768MB RAM. It supports a Nano-sim and also has IP67 dust and water resistant certification. It is a great smartwatch with sim slot and overall features. 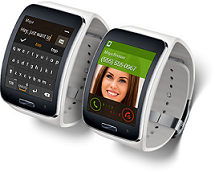 Samsung's Gear S smartwatch offers 3g connectivity for calls and texting. It runs on Samsung's own Tizen-based OS instead of Google's Android Wear OS. It supports a removable Nano eSIM. Recently Samsung launched Gear S3, an upgrade to its predecessor smartwatch which has GPS, SOS Calling support at IFA 2016. Its triple tapping side button is great for easy text mode activation. Recently spotted online, U8 Smartwatch nicely offers a cellular connectivity. It is a low-priced, in-budget smartwatch which offers decent features. Made by Queen, U8 Smartwatch is priced as low as $10.98 so that you can try the cheapest smartwatch with calling support right now. 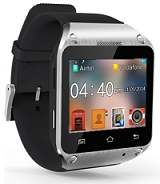 Bingo C6 is and Indian branded smartwatch with calling feature. It is powered by a Mediatek MTK2502C processor and 128 MB memory which can also be expanded up to 64MB with a microSD card. Watch can get connectivity over Bluetooth as well as a SIM card. Watch is supported by both Android and iOS wear operating system. MediaTek recently partnered with Intex technologies for these watch series which has calling feature enabled. These are the first IOT-based wearable from Indian brand to have MediaTek6261 SoC. It has nice curved glass display and can make and receive calls easily. Again comes with accurate GPS, voice and text functionality. It is limited to US-users only, so sorry for others. You will also need to opt for Caref's monthly data plans, still, it is a good choice device. It can nicely connect to any Android and Apple device and you can set contacts for your children safety and calling. You can also set GPS safe zones so that to stay alerted whenever children go beyond. The best part is the watch can record location history every 10 minutes. So, if you worry about your child go missing often, this watch is a real gift to you. This is a smartwatch with Voice calling feature support. 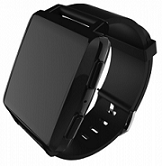 Again a good looking, in budget calling smartwatch entered recently in an Indian market. It has dual-SIM support with voice calling enabled, also phone runs on company's custom Java based os. You can pair it with a smartphone to see notifications, receive calls, view logs, music, SMS etc. Moreover, a watch does have a 1.3Mp camera for your need and has expandable memory up to 8GB. It supports cool 2 days of standby charge. It is a great smartwatch phone with the pedometer in-built. 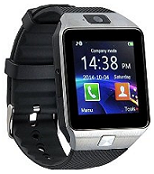 It is a single SIM smart watch with attractive features. Its copper color model looks great and can fit on every hand. It has a sim card slot for placing SIM and its overall response is quite fast. DZ09 is available at as low as $14 online. Watch is loud and also capable of taking good photos with its low 0.3MP camera. Its pedometer feature is great to record steps while you walk and also can calculate the distance traveled. You can also monitor your sleep activities with special sleep tracking health sensor. 1. Sedentary reminder, which gives you signals about your regular health habits such as how much time you are sitting on single work and need to walk or move and so on. 2. Phone lost tracking - When smartphone is disconnected from the watch, it gives alerts. 3. Remote control phone camera. Overall, DZ09 is a worldwide preferred in-budget smartwatch which is great for regular use without worrying about it too much. Its is a lowest cost best wearable product right now available in the market. Currently, premium brand wearables and health tracking bands are costing anything around few hundred dollars and with this DZ09 becomes a worth option. Also see Rwatch M26 review, Rthyn L6 Review, AMD Radeon Rx 460 and Radeon RX 470, GV18 Aplus Review. One of the great option especially for kids who may also need calling feature for their safety. It has a beautiful toy design which suits mostly for children of low age. It smartly tracks kids, can keep eye on them all the time and if you are consistently worried parents, this watch is a gift to your family. It has GPS, Nano SIM and can only store up to 10 numbers. Kids can make outgoing calls but on contacts set by parents. More importantly, these can not be modified by any program. These watches are water resistant so no worries using it in any environment. It can run almost up to 4 days on a single charge. If your school have no restrictions on children wearable, this gadget is worth buying. 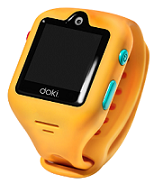 Doki is a Hongkong based tech company have recently brought DokiWatch promising as the world's most advanced and complete wearable phone and locator for kids aged 6-12. Also, its a first 3G smartwatch for children with video calls, voice calls, messaging and tracking through this tiny wearable watch. Doki watch is a great gift to children from their parents and keeps them safe wherever they go. Not only this, the watch also has interesting features including virtual pet, fitness tracker and much more. It has rugged rubberized design which is quite great for regular use. Doki watch can keep your children active and safe always. Kids can also earn fun achievement badges using badges on steps, distance, calories burned and much more. FiLIP is a great watch and has almost all the features which Apple watch offers. The only difference is its rugged built specially made for children. It is limited to make and receive calls up to 5 pre-set contacts. Watch is compatible with both Android and iOS. 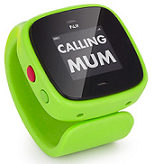 Its intelligent emergency feature helps children contact their parents by clicking a red button located on the side of the watch. It also has 'safe zone' which GPS tracks and alerts to parents if kids go beyond boundaries. Watch for young children aged 5-12. Kidizoom Plus can take photos and videos and also have many digital and analog watch faces. Kidizoom watches have superb childproof design and come with amazing Cerise, green, and blue color variations. Watch is similar to those offerings from FiLIP and Caref with less price in comparison. Also, it is the most rugged design watch with a soft silicon shell over entire outer part. It comes with smart calendar, safe zones, messaging, parental controls and new app installs. It has an excellent GPS and 3G connectivity for safe tracking all the time. Orbo kids watch come with all the basic functions and have beautiful digital and analog watch faces to choose from. It also teaches kids how to tell the time. It also has a variety of interactive activities and games to keep your children busy playing more of the time. It's basic camera can take great shots. Made up of a durable plastic, it's soft silicone bands are actually comfortable for small hands. HereO is world's smallest real-time cellular GPS tracking watch. It is more of a parental device than a kids toy. 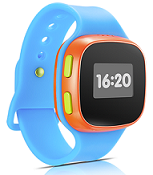 One of the thinnest smartwatch for kids. It measures 112x136mm and weighs only 40g. Smartwatch is again splash and dustproof with durable plastic casing and softest silicone bands specially made for delicate hands. Kurio watch is an excellent entertainment wearable with customizable interface, video recorder, and camera. It comes with pretty interesting games which can keep kids fully occupied for more time. Its I.C.E (in a case of emergency) app is great where children enter their medical information including blood group etc. It is certainly for their safety at such unwanted cases. Looking at built, Kurio watches doesn't look fabulous rather it is a more productive. It has smooth round edges and adjustable soft silicone strap. It has 128MB in-built storage and can be expanded using microSD card. One of the best-branded kids watches out there. It has awesome LED status indicators which show battery levels, signal strength and call status. LG uses their own GizmoHub App to sync the watch with proper parental authority for kids making calls and use various apps. Its real-time location GPS tracking is again excellent and worth using. GizmoPal 2 is one of the best-looking kids gadgets in kids market. 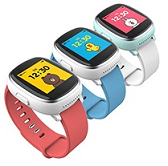 LINE Kid's watch is powered by U-blox a high-performance UBX-G7020 multi-GNSS chip with GPS support and U-blox SARA-U270 UMTS/HSPA module for high-speed mobile connectivity. Watch works on KIWI Plus's own IOT android operating system and support one touch calling and real-time location tracking. Watch facilitates interconnectivity among kids so that they won't miss each other. In a case of emergency, kids can send pre-set notifications to parent's phones easily. The watch has aluminum casing and glass screen with soft silicone bands and available in blue, white and pink colors. 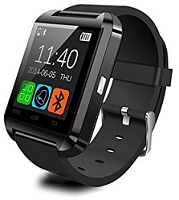 This is a great smart watch phone with sim support.